Distant Stars is Rudy Adrian’s third release for the Lotuspike label, and with it he leaves behind the earthly world and its natural surroundings that so inspired his previous works, MoonWater and Desert Realms. This time the inspiration is the solitary ambience and vast expanse one might experience when exploring the distant stars of deep space. The album began to take shape in 2008 when, as Rudy explains, “I found myself inspired to create some longer floating pieces that seemed evocative of exploring deep space, so I started experimenting with the idea of creating an album consisting entirely of dark, ‘deep space’ music.” The result of Rudy’s experiment is a bona fide spacemusic album with an honest purity that easily holds its own next to the true classics of the genre. The extensive electronic ambient spacescapes run deep with wonder and curiosity. At times the mood of the record is uncertain and foreboding as if to underscore the loneliness of the journey, while at other times the music is rich with restrained beauty and awe, hinting at the unseen marvels of the cosmos. According to Rudy, “A reviewer once suggested that the best way to experience this sort of music is to lie in the middle of the room with the lights out. Whichever way we choose to listen to it, I hope it will assist our exploration of not only the imaginary outer reaches of space, but also our innermost thoughts.” Distant Stars is the artfully crafted realization of such a heartfelt inspiration. Space, that glorious final frontier that lurks just beyond our quite insignificant existence on this terrestrial globe and also a collaborator and inspiration for musicians since the days the old gods walked the earth. Rudy Adrian is a composer of electronic music from New Zealand with a vision that stretches far beyond the ken of men and with Distant Stars we get to explore the fantastic vistas that stretch far beyond the grasp of mother earth. The music is what you’d expect from an album exploring the ambient nature of space and time and more. The floating feeling of zero gravity, the dark edge of the cosmos, and the infinite loneliness of fathomless space, this and more is contained in this album of about 75 minutes. Distant stars opens up with just that slow and sweeping feeling that summons a vision of someplace far away in the midst of the open black void in between the galaxies. The track builds and slowly transforms into a journey through nothingness. At parts the album is foreboding and dark enough to almost overpower your senses but it always stays just on the border to turning the album dark. The lighter swirling parts of the tracks are otherworldly and feel quite ethereal in their soothing resonance but here and there the droning landscapes burst and change with a rippling spectrum of harmony. Each passing song weaves more and more intricate layers and by the time the last track slowly fades to nothingness you drift back to this cold and unforgiving world. It is amazing how far one can travel in roughly 70 minutes of our earthly time. In the end I must say that I was impressed by Distant Stars. The composition is brilliant and it really shines in its alien yet relatable atmosphere. It is a strong and potent album that really works best if you are in that deep and meditative mood that borders to darkness and lucid dreams. Ambient music is usually a quite personal thing, either you lose yourself to the drifts or you just don’t get it and since I am a lost dreamer trapped in this horrible waking world Distant Stars is a doorway to the endless horizons of space and beyond. It is a journey to the depths of my innermost sanctums, a balm for a tired soul. Rudy Adrian has really mastered the craft of distilling the majesty of deep space to harmonious deep ambient music. 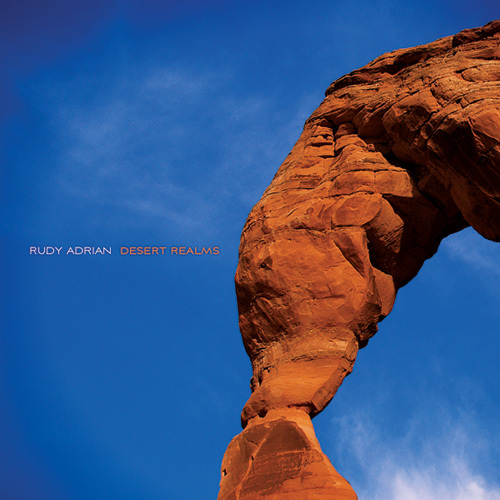 As its title boldly suggests, Rudy Adrian's latest (and his third for Lotuspike) launches the listener into the ambient expanses of deep space, leaving the earth – elements of which provided the inspiration for his previous album, Desert Realms – in the rearview mirror. He's been inspired by space before, as his Starfields release from nearly a decade ago will testify, but that foray into the void was a more sequencer based approach, whereas the work at hand resides more in the floating ambient realm. With slow moving emotive waves of textual color washing over the listener, sometimes slowing to a glacial pace, the alternate sensations of warmth and coldness stir the senses and develop the abstracts of perception. While varying from pure and crystalline tones to some more dark and menacing sounds, the six long works here explore the farthest reaches, with the best creating a sense of relative stillness within a moving, changing universe, where the listener can drift freely while observing accelerated sonic events unfold. The effects are at once beautiful and stunning, but often curiously unsettling. Get your headphones on and kill all the lights; there's plenty herein to inspire the imagination. Rudy Adrian is equally at home doing sequencer-based upbeat music or minimal ambient, and Distant Stars falls firmly in the latter category. This is music for the far reaches of space, to get totally lost in the vastness of it all. The title track starts with 20 minutes of pure floating, evocative of Jonn Serrie’s early works. “Trajectory” is perhaps the darkest ambient Rudy has ever done, seeming to spiral ever deeper until the rumbling blackness hits bottom. “Le Songe Du Singe” is an extended version of one of my favorite pieces from my favorite Rudy Adrian album, Kinetic Flow. “Voyage Through Darkness” is not as bleak as “Trajectory,” but it is aptly named nonetheless, another lengthy journey into the depths. After another dark turn on the brief “Netherworlds,” things brighten a bit with the closing track, adding shimmering lighter tones while retaining the expansive quality that permeates the disc. Distant Stars will take you to the outer rim and back. After remarkable albums like "MoonWater" and "Desert Realms" my expectations for this, New Zealand based, composer were really high. Now I can say straightly, Rudy didn't disappoint me, he even surpassed all my best expectations. Shifting from the American Southwest gentle desert ambience on his last album, Rudy delivers here, as indicated by its title, absolutely magnificent deep space voyage!!! His compositions are very varied with many dramatic and subtle highs and lows, not just plain space washes. The opening 20-minute long epic "Distant Stars" is the best example with evolving and monumental waves, a pure bliss I must say!!! Just the same as following "Trajectory", as much tense, but more darker and drifting. Without some unwanted hiss on it, another masterpiece. With "Le Songe Du Singe" we get back to slightly lighter, more relaxing and floating journey reminiscent of early space music. By the way, this piece is an extended version of a soundtrack released on "Kinetic Flow - Sequencer Sketches Vol.1" album and it fits perfectly this album. But soon after we enter again deeper and unexplored spacefields with tracks "Voyage Through Darkness" and "Netherworlds". The final piece "Entering The Temple Of Haruka Kawagishi" again slightly relieves tight atmosphere with Rudy's trademarking space floaters reminding me the beautiful essence of "Desert Realms" title track from previous album, elegant, serene and rewarding. "Distant Stars" is a really exciting and absorbing intergalactic journey showcasing big talent and potential of this New Zealander. One of my all time fave space albums. Well done, Rudy!!! "After another long two year wait, LotusPike finally brings us a new album of New-Zealand artist Rudy Adrian, which at first glance is similar in style to that of his ambient albums, but a close listen reveals its still unique and somewhat improvised nature on the spot. Like his previous releases, the outcome on ""Distant Stars"" is free form, pure outer space ambience, ""mind expanding music"" as Rudy likes to call it. It’s a great travelogue through deep space with the scenery always evolving around you, sometimes dramatically, sometimes subtly. Fans of highly atmospheric, serene and deep space ambient can sit back and immerse in 76 minutes of profound, ethereal and gentle flowing textures, beautifully kicked off by the 20-minute title track with very nice Michael Stearns’ ""Encounter"" flavours, which I’d absolutely love to see together with huge planetarium visuals. The more adventureous sounding evocative spacescapes of ""Trajectory"" continue the journey into the vast expanse of the cosmos, followed by the full 15-version of the great planetarium piece ""Le Songe du Singe"" (of which an outtake was on the now out-of-print album ""Kinetic Flow""). ""Voyage through Darkness"" and ""Netherworlds"" immerse in more foreboding sounding textural scapes, nicely underscoring the desolate feel of the immense, unexplored spaces we slowly journey through. ""Entering the Temple of Haruka Kawagishi"" rounds out the album elegantly and fluidly, beautifully echoing the ethereal music of ""Desert Realms"". The excellently produced and mastered ""Distant Stars"" is a real gem indeed. " "Here is some fine ambient and floating music! Far from his tribal inspirations, Rudy Adrian plunged in the deepest of himself to offers an album with very introspective emotions in order to make us travel among stellar stars and other constellations on a musical background rich in subtle modulations. Distant Stars is a slow astral symphony where the New-Zealand synthesist moulds his emotions through dense synthesized and mellotroned layers where sidereal choruses, sidereal breaths and movements with heavy metallic drones border Steve Roach and Michael Stearns superb impulses. A distance cosmic breath opens Distant Stars introduction. A wind shaped in galactic semi-darkness which is propelled by a synth with dark and sober layers. Just like what’s going on over this Rudy Adrian 13th opus, Distant Stars proposes a slow astral journey where movements are carved in the oblong modulations of a synth which mixes superbly well drifting hypnotic pads and choirs. Far from being monotonous, the intro of Distant Stars is punctuated of soft shimmered notes which scintillate in a cosmic gravity. A little as if one could hear stars. Fine modulations deflect the course of layers which float and thread among scintillating notes and dark breaths, sometimes struck by fine explosions plunging Distant Stars in a culminating cinematographic atmosphere peak. Around the 9th minute, becomes more limpid but still remains atonic. Synth layers are clearer and release a less anxious ambiance, spreading out a 2nd part which reflects a painfully started galactic voyage. Certainly, emotional orchestrations are pointed here and there surrounding the eponym title in a constant duality emotive which reaches its paroxysm with powerful layers of a synth howling its fright of the unknown in a delicious musical perfume which points out the ultimate work of a musical cosmic voyage; Michael Stearns’ Chronos. Trajectory is quite as heavy as the introductory track. A long atonal track, where synth pads float in a syncretic cosmic universe of which fright accompanies the unexplored. A synth which releases a linear movement crossed of subtle modulations, as much as sound level than on the impulsion of its structure. A structure soaked with metallic sonorities which draw the moving of a space shuttle roaming to seek for a new earth. Le Songe Du Singe bathes in the same ambient atmospheres as the first 2 tracks of Distant Stars, except that the movement waltzes with kindness in a nascent luminosity. A sound effervescence which divides the nebulosity of this intensely dark album, even if it’s a cosmic one. Synth impetuous waltz in harmony with layers of a mellotron flooded of oniric and poetic sources as well as liberator choirs. A superb piece of ambient music where emotions are feeling and living sensitively. Voyage Through Darkness is a dark cosmic litany where synth layers bubble and drone in the borders of a syncretic universe which releases an astonishing perfume of paranoia with its multiple layers which tangle up in a strange atonic waltz where only imaginations can draw their structures. A long track which contains superb musical winks to Steve Roach complex ambient universe and where the beauty explodes with superb mellotron flutes which accompany a movement became more limpid and superbly more ethereal. Still there, Rudy Adrian fascine by its way of getting his modulations out of dark ponds that he’s weaving on each introduction. Soft honeyed Netherworlds floats in a poetic musical universe which is in contrast with the heaviness of the first 4 tracks. In fact, one could advance that Netherworlds and Entering The Temple Of Haruka Kawagishi are the rest of the storm which surrounds the lugubrity of this astral voyage fill of intense synthesized sonorities. Much far from stars and nearer the Earth, these 2 tracks involve us in the delicious tribal world of Rudy Adrian. He of which is the only one to draw all its musical canvas. Distant Stars is a powerful atmospheric album which will undoubtedly please fans of ambient, floating and cosmic music. A superb album where Rudy Arian’ emotions abound in a universe bubbling of syncretism and atmospheric dualities, even if cosmos is oblivion of coldness and fright. Strong feelings quite well shored up on a good structured album, like a long departure towards the unknown of interstellar spaces." Sometimes I find that a CD can have a positive or negative impact depending on when I listen to it. For me, what's going on in my life; my mood, frustration, dreams, goals all come into play when listening to a CD I'm reviewing. With that in mind, Distant Stars came at a perfect time for me. The dark, explorative space music just hit the spot. I found Rudy Adrian's layers of deep, dark music reach into my soul and project outward to the heavens at the same time. What I like most about this cool ambient CD is that it is amazing to listen to when doing virtually anything. Reading, writing, working, working-out, even just thinking. To me, that' s the greatest thing about ambient music period. It stirs up what you are feeling inside and enthuses you to do things in a very positive way. Every single track on the album is worthwhile. The title track "Distant Stars" kicks off the CD and takes us into a 20-minute voyage deep into the cosmos. It has a nice emotional build that doesn't reach it's zenith until the very end. "Trajectory" has a calm demeanor, though it does give the audio sensation of movement. The 12-minute track is an easy ride into the distant reaches of space and your mind. "Le Songe Du Singe" was composed for a planetarium. Rudy Adrian felt it fit with the rest of this album so he extended the track for it's inclusion. My favorite track is "Voyage Through Darkness." Adrian creates a swirling vortex of shadowy dimensions that will make your mind soar for over 15 minutes. Rudy Adrian gets the mood to churn in "Netherworlds." The atmosphere is dense with what lies around the corner, as you drift into the unexplored. I like the tone of this CD tremendously and will continue to play this on a regular basis. I'd advise you to do the same. STYLE Ambient, floatational, deep space music. Distant Stars is an expansive series of galactic environments and nebulous textures. These lengthy pieces are beautifully descriptive of the dark emptiness of space where colourful forms and gaseous structures revolve slowly into view and meander in gradual procession. Rudy Adrian uses layers of delicate synthetic drones in gossamer sheets that seem to glow and radiate warmth as they move. In places the music becomes dramatic and heavy with momentum such as in the latter stages of the opening piece where density and intensity build into a crescendo of movement also the introduction to Trajectory where a steady descent is described with falling tones and deepening force. Among the drifting restful regions are passages of enigmatic dissonant sound and zones of alien peculiarity. Often there is a sense of isolation and lonely wonderment as one wanders very, very far off. ARTWORK Distant Stars comes in a jewels case with sharp graphics set within broad white borders. Centrally on the front cover sits a set of overlaid photo images showing an effulgent night sky that drops down into blue with clouds, to the sea, to a smooth beach touched by the lap of gentle waves. On the rear cover is a closer image of the beach, again looking seaward, track titles with times laid out down the middle. The insert has two panels - the second outer panel holding a monochrome portrait of the artist. Innermost - the whole ground is flat white. To the left a duplicate tracklist with an explanation of the project following. Finally a paragraph with a gear list and an invitation to make contact by email. 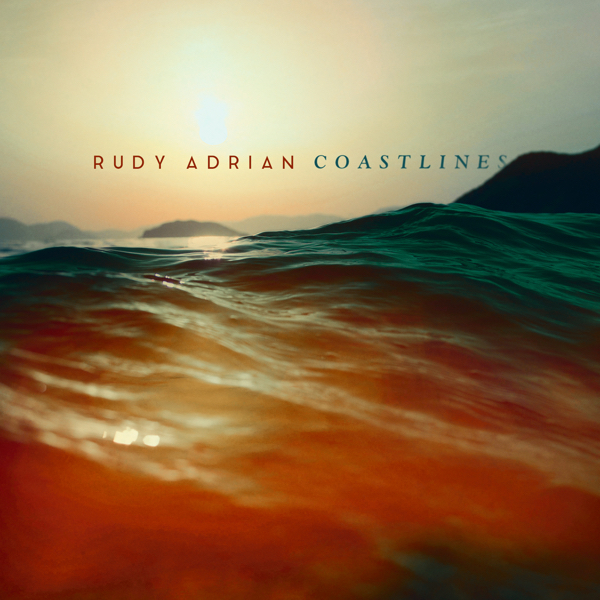 OVERALL Distant Stars is Rudy Adrian's twelfth full length release and follow up to the 2008 album Desert Realms. He has released CDs that fall into two main categories - ambient atmospheres and sequencer sketches. Now for the third time with label Lotuspike, Rudy alters emphasis from the more earthbound Desert Realms and Moon Water to venture far into space. The six tracks range from the fifteen minute eight second Le Songe Du Singe to the relatively fleeting Netherwords which falls just short of five minutes. Rudy himself says of the album, ""I found myself inspired to create some longer floating pieces that seemed evocative of exploring deep space, so I started experimenting with the idea of creating an album consisting entirely of dark, 'deep space' music."" Goal achieved - Distant Stars is a powerfully transportational collection of highly imaginative open horizons and boundless profundity. As suggested by its title, "Distant Stars" is an album of Space Music. Its author, synthesist Rudy Adrian, wanted to create music that evoked the darkness, the solitude and the immensity of deep space. And he has very successfully achieved his aims. By using very elaborated architectures with the synthesizer, the artist has shaped six themes that submerge us in the intergalactic void. These are slow, almost static tracks, with layers of sounds and chords that keep appearing and disappearing progressively, as if they were successive stars in the periphery of a galaxy which a spaceship were approaching or leaving behind. Rudy Adrian is one of a few contemporary Electronic Musicians capable of bringing the awesome energy of the cosmos into the musical listening area. His CD Distant Stars (75'43"") holds six epic synthesized excursions into deep space. Like the music of his predecessors Jonn Serrie and Michael Stearns, Rudy Adrian creates dramatic soundtracks upon which nearly any celestial phenomenon may be applied. From mysterious and remote to ethereal and heavenly, Distant Stars moves from darkness to light along an arc tracing the curvature of the universe. These slow moving works unfold easily in the dreamy brilliance of euphoric harmonic climaxes or darkly in the thickening air of a room-shaking rumble. Without the signpost of rhythm this album becomes pleasurably shivery. Characterized by stretches of atonal sounds, sparkling effects and rising key progressions of round string timbres Distant Stars provides a compelling experience either for a trip outward into the galaxy or inward to the quiet recesses of thought. Rudy Adrian's music implies a universe still strange and unexplored - stretching our imagination in hopes of yielding deeper rewards. New Zealand-based composer Adrian is a veteran of soundtracks and ambient synthesizer music, and this release turns another new leaf for the prolific artist. His most recent works have been stunningly evocative and atmospheric homages inspired by terrestrial landscapes, but this one aims much higher. As the title refers, this is Adrian's extended work exploring the heavens. Interstellar influences in electronic music have been more than well-documented, from the 60s German synth-sequencer brigade (Tangerine Dream and Klaus Schulze, for example) and on through recent works from such artists as The Orb or Pete Namlook's FAX recordings. But seldom does it work as well as Rudy Adrian's deep, mysterious, and contemplative driftworks. Tracks like the 15-minute "Le Songe Du Singe" are truly "space music", as they approximate the infinite expanse of the abyss with a sense of wonder, awe, and sometimes trepidation (as in the foreboding sci-fi textures of "Netherworlds"). It's a successful journey that ends well with the relaxing freefall of ""Entering The Temple Of Haruka Kawagishi"". ""Distant Stars"" is an album of sparkling, otherworldly, and well-crafted ambient sounds to soak in and drift away with.